If you’ve got a Gmail or Dropbox account, or you’ve sent a huge file via a file sharing site lately, you’ve used some popular services that are hosted by a public “cloud”. Cloud computing gives you access to state-of-the-art hardware (like secure servers) and software resources (email, data back up) at a fraction of what it would cost you had you bought all of it and it was sitting in your office. Also, because you’re not hosting all the hardware needed to drive the services you use, you’re saving on office space and utilities. Cloud computing saves you money as resources (hardware and software) are shared by several companies (public clouds) or multiple branches (private clouds). A major benefit of setting up a private cloud is that the shared resources are housed in secure, world-class data centres. That means your company doesn’t have to carry all the costs of power (UPS, generators) and redundancy in terms of connectivity. It’s really the most efficient way of doing business. Do you need a private cloud? Yes, if you have multiple office locations that rely on shared servers. Say, for example, your company has four office locations. Each office shares the same email server and uses the same Accounts Server. A traditional IT company might sell you multiple servers, but that would cost you a lot and you wouldn’t really need them. Instead, we’d recommend setting up a private cloud for all four offices to share access to the email and Accounts Servers. 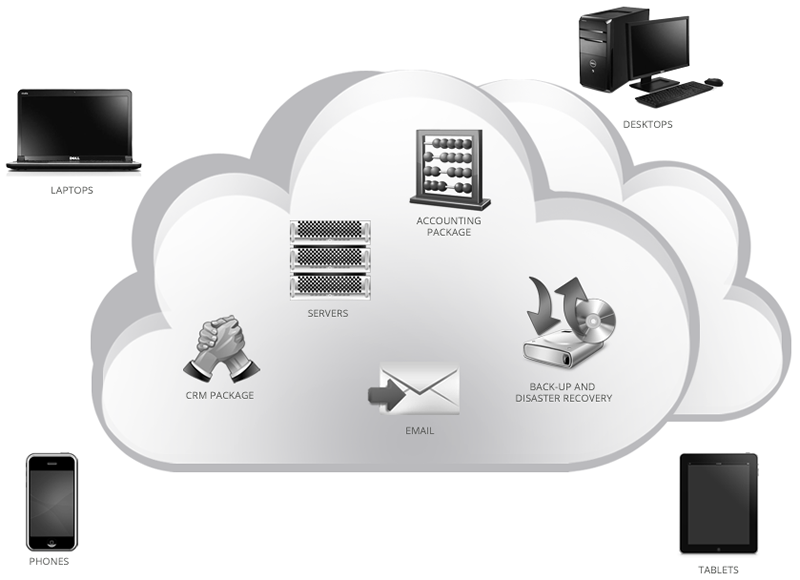 Now you’ve got reliable access to your email and Account Servers, plus you’re saving money!